Nutrition’s Important Role in Senior Health Care - ProHealth Partners, Inc. While the role of nutrition is always a critical aspect of health, it’s even more important in the senior years. National Nutrition Month is the perfect time to discuss the role a quality diet plays in one’s overall health and wellness. ProHealth Partners highlights the following ways that home health care can improve a senior’s nutrition. 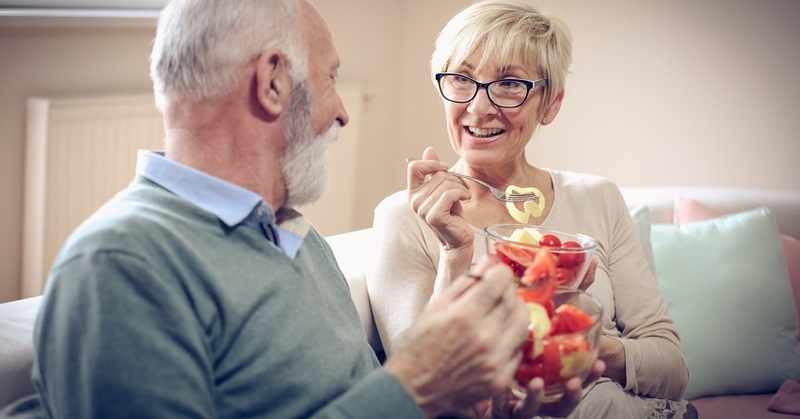 Regular reminders: Professional care providers visiting the home know the importance of diet in a senior’s overall health, and they can ask a senior about their diet and make recommendations to improve it. Monitor compliance: Some seniors with certain health conditions need to follow a specific diet. Visiting care providers can make sure, for example, that a patient recovering from a heart attack is observing a low-cholesterol and low-sodium diet. Promote physical activity: Seniors who spend most of their time at home may not get enough exercise, which can decrease appetite. Therapists and physicians can help seniors identify safe ways to incorporate physical activity into their daily routines, such as a short walk or light gardening. For more information on ProHealth’s in-home physician and therapy services, call us at 877-511-9739 or contact us online.